Every one of us wants to be happy, and not just for brief, fleeting moments but deeply happy throughout the course of our entire life. But sometimes, when faced with certain circumstances, situations or conditions, it can be difficult to feel happy! 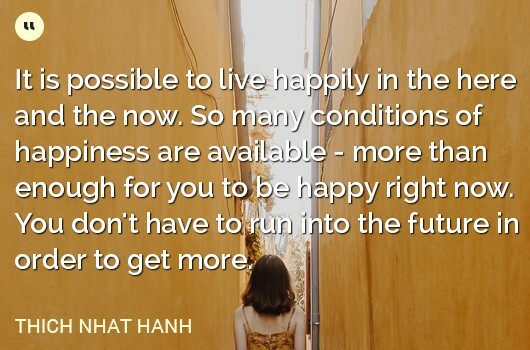 I’m often asked if it’s true that we can choose to be happy, and if it’s possible to maintain a state of true happiness for longer than a few moments at a time. 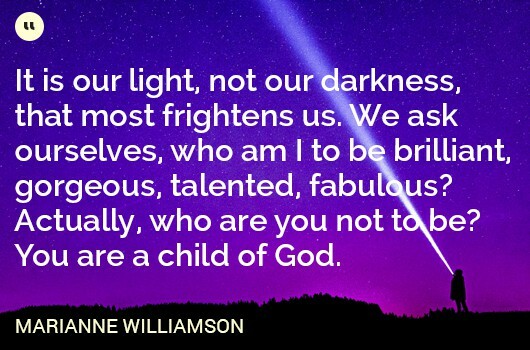 Well, spiritual leaders have been asked these questions for centuries. The following are five spiritual truths about happiness for you to contemplate and begin applying to your life so that you can experience greater happiness and fulfillment long term. Yes, you have the ability to choose happiness, no matter your circumstance, situation or condition. One of the biggest “secrets” to creating a happier and more fulfilling life is knowing that happiness is always a choice. In other words, you can’t always control what happens to you in life, but you do always have the power to choose how you’re going to react to what’s happening in the world around you. Does this mean you have to feel good about everything and everyone at all times? No! In fact, you may not want to feel happy at times. For example, when a loved one passes away, it’s very natural to feel hurt, sad and perhaps even angry. Sure, one could say that you’re “choosing sadness” for example, but feeling sad would be a very appropriate response to losing someone you love. You can choose, however, to focus on the wonderful experiences and good times you shared with the person. In this way, you’re choosing to add gratitude to the difficult thoughts and emotions you’re experiencing, which will help you move toward a feeling of greater happiness in the future. Always remember that by allowing yourself to fully feel any difficult or contractive feelings you’re experiencing, they will eventually shift into something that feels more expansive for you as you continue to tap into a life of greatness. 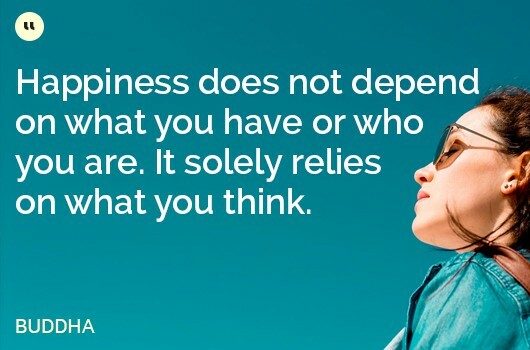 The ability to choose to be happy, content and have tranquillity of mind no matter what’s happening in your life or in the world around you will most likely take some time and effort to achieve. 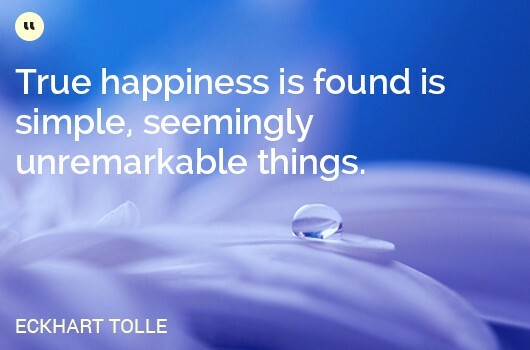 Finding happiness is an internal and spiritual journey that we all must choose to take. But by making consistent efforts to choose your thoughts, you will be able to choose happiness over and over again. It might even lead to your best day ever. But sometimes it’s not easy to feel instantly positive and overwhelmingly grateful – especially if you’re facing particularly difficult circumstances in your life. The good news is, like happiness, you can actually consciously choose to generate a state of gratitude each and every day. And doing this is much faster and easier than you may think! All it takes is the simplest of practices ( here’s my personal 30 second morning gratitude practice) each day to acknowledge yourself and the infinite intelligence that moves through all things and simply be grateful for the opportunity to be awake and alive. Do this for seven days, and you’ll be amazed by how this quick and simple practice impacts your outlook each day! 2. Put a zip in your day – every day! My mother, Dorothy Manin, (who would have turned 100 in 2018) was a child of the Great Depression. Her family didn’t have much money. She and my dad both struggled with money. So she came up with a simple practice to put a zip into each and every day. Whether it means eating a PB&J sandwich on fancy china, drinking orange juice out of a crystal goblet or driving a different route home, putting a zip in the day means doing something a little out of the ordinary to shake up your normal routine. No matter your circumstance, situation or condition, there’s no reason you can’t have fun and do something a little crazy or different. Making this a daily practice is sure put a smile on your face! Mindfulness is the ability to notice what you’re noticing – to notice that you’re taking a step while you’re walking, to be aware of the feeling of your child’s hand in your hand, the feeling of the sun or rain, or the beauty of a flower. It’s being present enough to notice being alive, and to choose the way you experience life. Meditation is a wonderful way to fine tune your awareness and invite more opportunities to cultivate greater happiness. 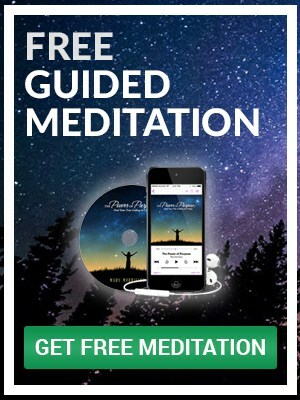 Here’s a free guided meditation on abundance you can use to begin to tap into, and operate in harmony with, the abundant universe you live in that’s always seeking greater expansion and expression through you. By practicing mindfulness, you can notice when you’re in a negative, contractive state of mind that’s creating a negative experience. You can’t control everything around you, but you can control what you’re thinking about everything around you. It’s up to you whether you make a choice each and every day to be happy no matter what may happen. And as you continue to apply these practices to your life, being a happy person will become your true nature. You were given the beautiful gift of happiness. This way of thinking can actually hold you back from living into one of the greatest possibilities for your life, and the fact is, you and I and every one of us in the human race seek happiness by nature. Seeking happiness does not mean you are being selfish or ungrateful for what you already have. It’s absolutely okay to be happy, even in your imperfection and failure. And not only is it okay to be happy, it’s encouraged! A simple way to shift these limiting beliefs is to cultivate an attitude of gratitude for your life as it is currently. You can be grateful for this day, for your body that carries you through this life, for your loved ones and your health, and still want to move into what’s next for you and your life! No other person, place or thing can truly make you happy. Living happily depends on what’s happening inside you – your thoughts, emotions, beliefs and desires. Adding a spiritual dimension means finding a sense of inner peace, both peace of mind and peace in your heart. It also means allowing your inner values to guide how you interact with the world around you – your relationships with others, your connection with the natural world and your interest in making a positive contribution to society. 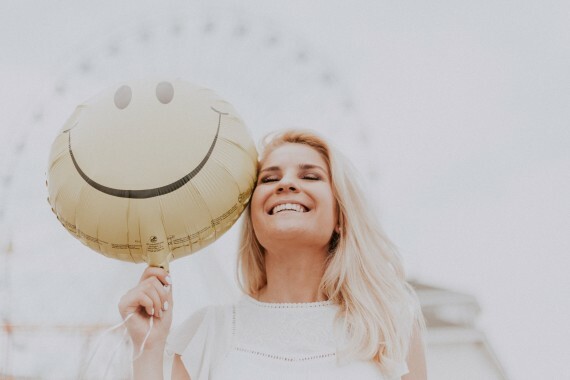 It can be easy to allow yourself to think that having the perfect happy relationship, your dream job or the winning lottery ticket will finally make you happy. By attaining these things, you will most likely experience happiness, however it will be only temporary. If you want to experience lasting happiness, the only place to find it is within yourself. What kind of beauty do I see in nature and in others? How do I creatively express myself? The internal qualities you have are always with you, and they can always be appreciated, and in turn, can make you happy about yourself. Are you simply passing time, rushing through life waiting to be happy or putting off true happiness until your life is perfect? If so, you may be missing the point. 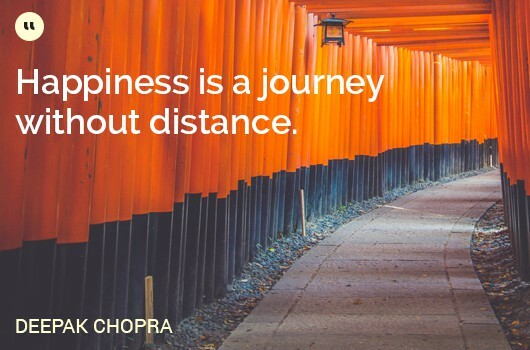 Happiness is a byproduct of enjoying the journey you’re on called life. You’re meant to be a progressive, growing, expanding, evolving being. Your goal is progress, not perfection. When you’re experiencing growth, this is most likely the time when you’ll feel the most happy. So instead of focusing on being happy, choose to focus on GROWTH and how you can be in love with your life. 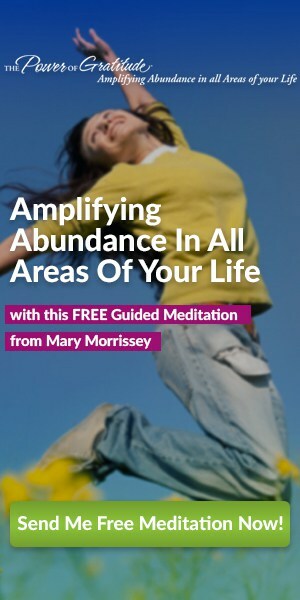 If you find yourself feeling unhappy more than you’d like, simply make the choice to give more energy, attention and focus to more expansive thoughts, and give less energy to the ones that deplete you and feel contractive. Looking for how you can grow in every situation is much more likely to bring happiness than waiting for it to appear around the corner. You can be happy now, in this very moment. These limiting beliefs have been deeply embedded into our culture and way of thinking. But the truth is that you can choose to be happy now, no matter what’s going on in your life! The key here is to learn to notice, accept and appreciate everything around you, and everyone you see and interact with. Look closely at the food you eat, and the coffee, water, tea or wine you drink … what can you notice? Is there good to be noticed that you can feel happy about? What about the room around you? What about the book or blog post you’re reading? What about the nature outside? What can you notice and appreciate? All around you are examples of beauty, creativity, inspiration, triumph, pain and joy. When you begin to pay attention, you’ll probably find some amazing things that invoke a sense of happiness within you at this very moment. Once you fully embrace your ability to choose happiness, you’ll be better able to create a genuine sense of happiness from within, even if your circumstances aren’t yet the way you’d like them to be. Happiness is truly created within you. And while your loved ones and beneficial circumstances can certainly add an element of joy to your life, realize that you are the true creator of your satisfaction and joy. By acknowledging that you are in charge of your own life, regardless of your circumstances, you are able to choose happiness. As you reflect on these principles and start applying them to your own life, you may discover that the happiness you seek is already within you, waiting to be embraced. If you enjoyed this article, please share it with the one person that comes to mind that could really benefit from its message. Choose happiness today!